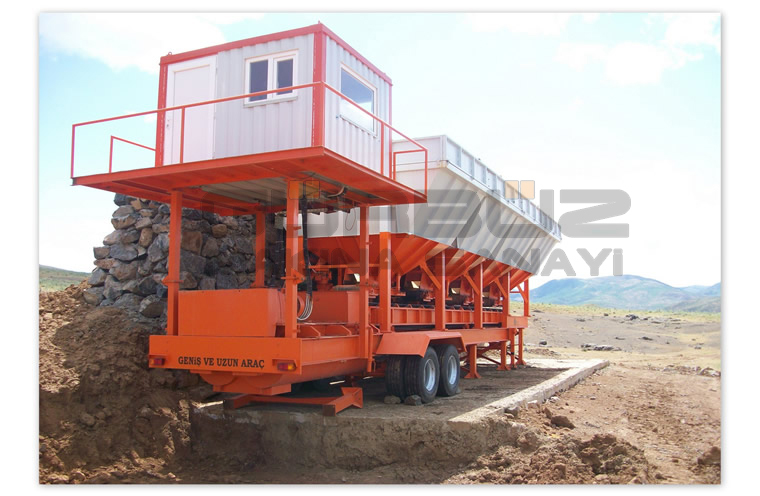 Mobile Mechanical Stabilization Plants are used in the preparation of the materials for all kinds of road building, airport and airfield building. In the system, there are generally four material loading bunkers. These bunkers are loaded with the the materials (Aggregate) of the specified shape and humidity. 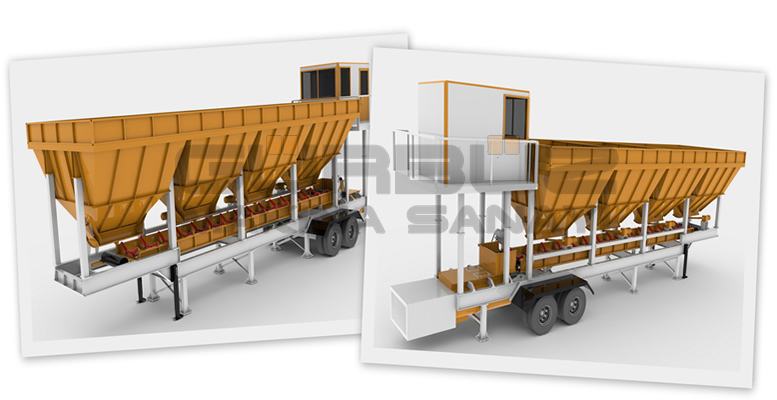 Beneath Aggregate bunkers are band conveyors, this band carries the aggregate to the mixer. The mixer provides a homogenous mixture by the adding of water to the aggregate loaded by the band conveyor while carrying the obtained mixture to the Stock Bunker with the help of the band conveyor under the mixer. All these procedures are controlled by a computer placed in the remote control cabinet assembled to the system. As Gürbüz Machine Industry, we produce mobile and fully automatic Mechanical Stabilization Plants for the first time in Turkey.